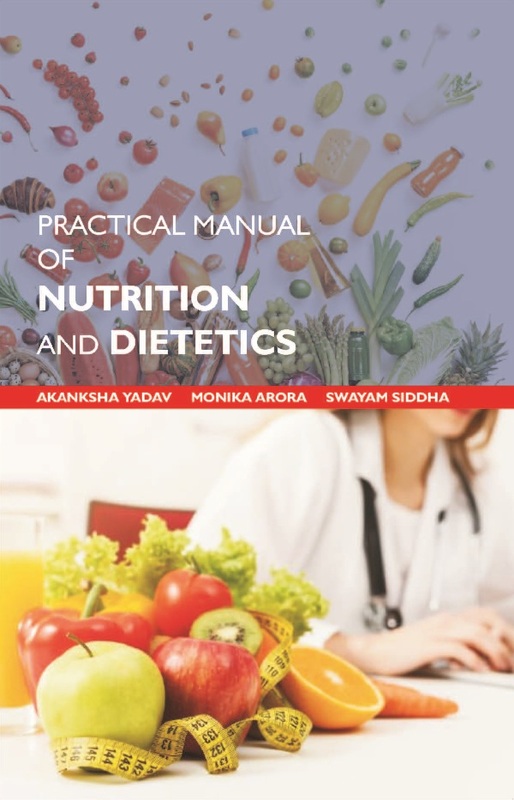 The Nutrition practical manual is a well designed book for undergraduate students of nutrition. The contents of the manual is well thought, sequentially arranged and written in easy language. The first edition of the manual is divided into 3 parts. Part I of the manual deals with Basic Nutrition, consisting of knowledge of equipments, sources of macro and micro nutrient with their functions, reading of labels and other important concepts. Part II, Nutrition for Life span consist of knowledge on diet plans for infant, adolescence, pregnant and lactating mother. The part III deals with Therapeutic Nutrition which covers the practical aspect of modification and planning of diet for patients on nutrition therapy. This manual will not only provide the most current nutrition guidelines/ research but also the tools and guidelines that can be applied in daily practice. Dr Akanksha Yadav, MSc, PhD is presently Assistant Professor and Head of the Department of Nutrition & Dietetics, Faculty of Allied Health Sciences, SGT University, Gurugram. She has experience of 9 years in Research, Academics and Health Care Sectors. She did her PhD in Food Science & Technology from SHIATS (Deemed to be University) Allahabad. She has published 8 research papers in national and international journals apart from this; she is guiding and mentoring students of Masters of Nutrition & Dietetics in their Research work. She has conducted several industrial visits, workshops and guest lecturers concerning nutrition in the department. She is a member of Indian Dietetic Association, Delhi chapter and Nutrition Society of India. Her area of expertise is Functional and Health Foods, Value added product formulation and Nutrient Analysis, Food Product Standardization & Processing and Clinical Nutrition. Dr. Monika Arora, with a Ph.D. specialization in Food and Nutrition from SHUATS formerly Allahabad Agricultural Institute, Allahabad, has been closely involved in research activities related to Natural products and their biological activities. Her extensive experience in the field of Nutrition encompasses work in both clinical, non-clinical organisations, including Umkal Hospital, Indira Gandhi National Open University (IGNOU), Shree Guru Gobind Singh Tricentenary University (SGT), and in Sanovide Ayurvedic Health Care Ltd. She completed her dietetic internship from Ram Manohar Lohia Hospital, New Delhi. She obtained her Masters degree in Nutritional Sciences from University of Allahabad and Diploma in Dietetics and Nutrition (DCDN) from Rajarshri Tondon Open University, Uttar Pradesh. She has written and published several original research papers in various national and international journals on Convenience foods & community nutrition. She has also served as a curriculum developer and nutrition consultant for a non-profit, school-based fitness and nutrition education program for children. Ms. Swayam Siddha is presently working as Assistant Professor, Department of Nutrition & Dietetics, Manav Rachna International Institute of Research and Studies. She did her B.Sc Home Science from Lady Irwin College, Delhi University, B.Ed from GGSIP University and M.Sc Home Science with specialization in Food & Nutrition with First Class with Distinction from Banaras Hindu University. She has qualified the National Eligibility Test (NET) conducted by the University Grants Commission (UGC). She has total 6 years of academic and industrial experience. Her areas of interest are paediatric nutrition, clinical nutrition and new product formulation and nutrient analysis.